Stitch the cascading edge flowers at the same time the rows are worked! 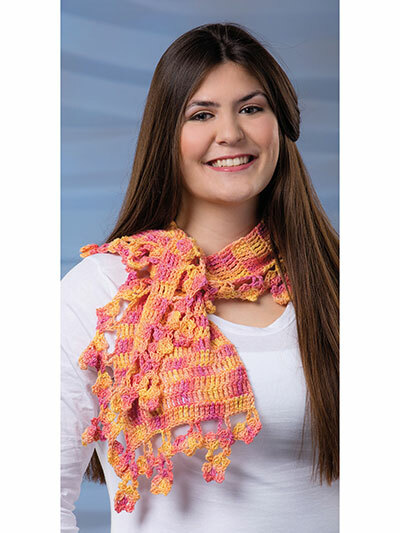 This lovely design is made using 1 skein of #123 citrus, #3 light-weight yarn by Cascade Yarns Sunseeker Multis and a size H/8/5mm crochet hook. Size: 11"W x 47 1/2"L including fringe.